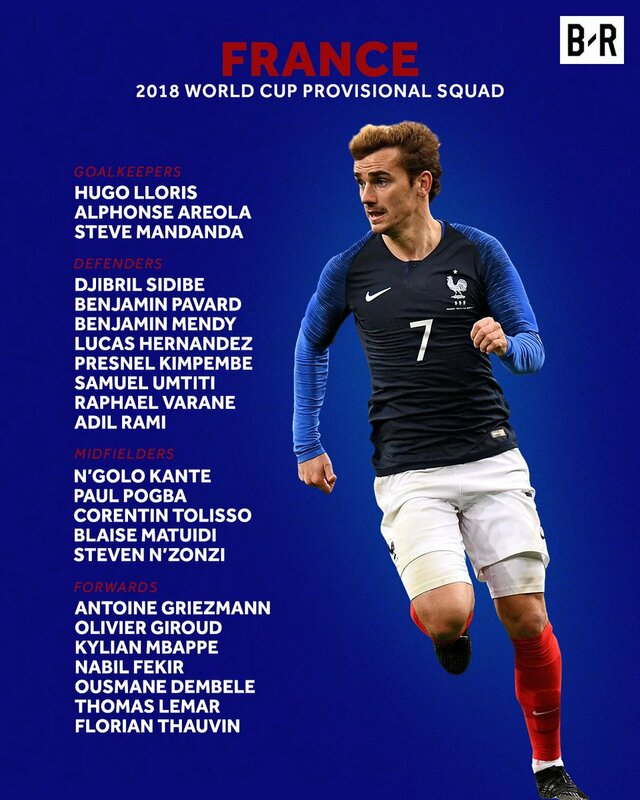 French World Cup squad - Lacazette, Martial and Rabiot have been left out. Goalkeepers: Koen Casteels (Wolfsburg), Thibaut Courtois (Chelsea), Simon Mignolet (Liverpool), Matz Sels (Newcastle United). Defenders: Toby Alderweireld (Tottenham Hotspur), Dedryck Boyata (Celtic), Laurent Ciman (Los Angeles FC), Christian Kabasele (Watford), Vincent Kompany (Manchester City), Jordan Lukaku (Lazio), Thomas Meunier (Paris St-Germain), Thomas Vermaelen (Barcelona), Jan Vertonghen (Tottenham Hotspur). Forwards:Michy Batshuayi (Chelsea), Christian Benteke (Crystal Palace), Nacer Chadli (West Brom), Romelu Lukaku (Manchester United). No room for Nainggolan? Lmao. It's an absolute travesty. Never rated Martinez and this is the final drop. There are protests all over FB and even at the training centre for the national team with regards to the Nainggolan situation. "It's a tactical decision" - His explanation. Said he couldn't give him the same role in the national team compared to the role he has for Roma. Well that doesn't really matter, does it? How many players play the exact same role for club and country? Oh please f**k off already. Martinez has no spine, he can't deal with players that like to just say it how it is and that have an opinion. Nainggolan can be a liability in a team, that's for sure, but you can't deny his talent and ability. You need players like him in certain types of games. If you can't handle that type of player, perhaps you shoulnd't be the one coaching world class players. Ciman, Januzaj, Benteke, Chadli. 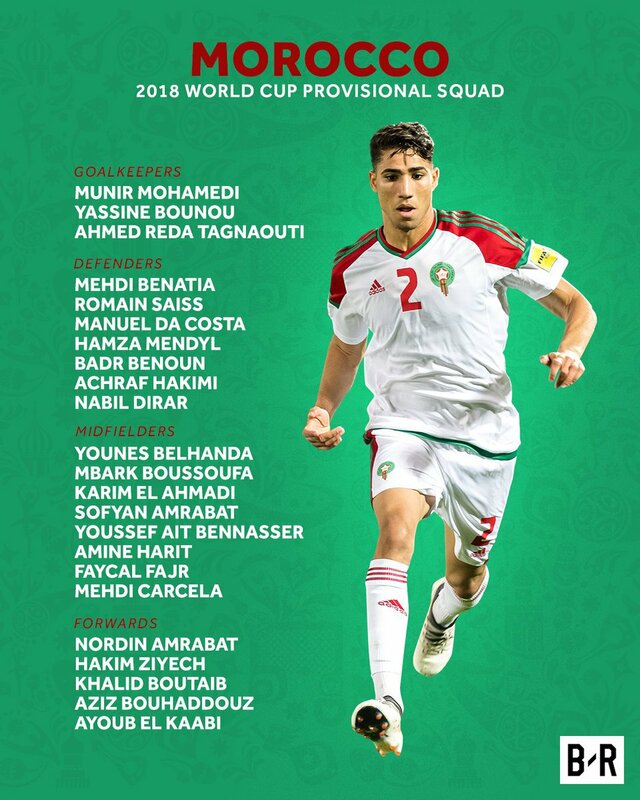 None of them should be anywhere near the national team on current form / talent. There's a ton of young talent in the Belgian League and abroad (Likes of Limbombe, Mechele, Engels, Edmilson etc.) that should've been given a chance, it would be an amazing experience for those lads. Though I have to say, that England squad doesn't scare me one bit. 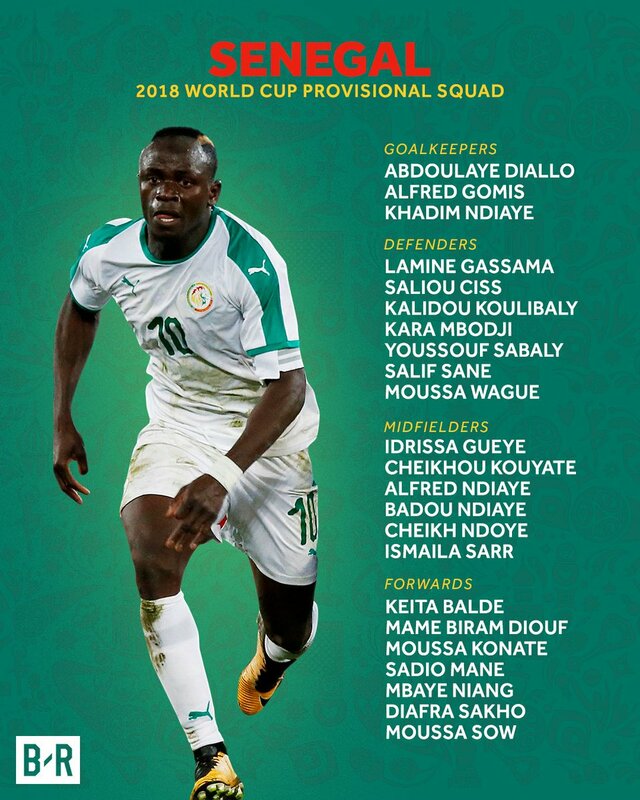 Belgian starting eleven will likely be (depending on the opposition): Courtois, Alderweireld, Kompany, Vertonghen, Meunier, Witsel, De Bruyne, Carrasco, Mertens, Hazard, Lukaku. (3-4-2-1) If we need to go more defensive, probably Dembele / Fellaini for Mertens. Oh sh*t, left out Sane, I am shocked. what about Juve's star signing did he get in?. Nope. That's a surprise but Low has his reasons apparently (as Honigstein says) suggesting that Sane hasn't integrated himself, socially or tactically, into the Germany setup. Also damaged his chances by choosing to take himself out of the Confederations Cup squad last year so to get long awaited nose surgery. Low thought he could have waited till after. Seems to be a bit of a club before country player - he'd be perfect for England then! Also can't get my head round some nutjobs who think he should have dropped Ozil instead (even though he's not a wide player). Ozil's presence in the Germany setup for the last 8 years or so has been absolutely phenomenal. He's a no brainer for Low. Good to see a manager picking squads on merit and how suitable they are for his team as opposed to how suitable they are for others. past tense he aint injured now...Mo is still injured but in the squad. I think Mr Can has a higher opinion of his talents than the rest of us including his national team. Not a huge fan of Ozil, but he is a totally different kettle of fish when he plays for Germany! thanks for the lad that made me chuckle. I am merely pointing out the MR Can may not be quite the important player he and his agent believe him to be but keep up with the Captain Obvious stuff . I think if Emre was fully fit all season he'd be in that squad no problem. I've always thought he was a world class player who has, in recent times, fallen into that Arsenal swamp of mediocrity. I could never understand why Madrid sold him given that his football mind is so great - great on and off the ball and unlike anything we see in British football. After watching the confederations cup, I thought Rudiger was perfect for us and with Klopp as our manager, I was a little surprised we weren't interested. Can't see Ginter being the main starter, but if he does play, I will for sure keep an eye out! Atm, I am catching up on some Monaco matches and watching Fabinho Maybe after I will watch some Mönchengladbach matches! Yes that's him. I know he wasn't anything special for Dortmund and they quickly sold him but I think he's been much improved at Gladbach, well, at least that's what I heard. I saw them play on a couple of occasions and he's looked good but definitely not enough to judge. In terms of style he's an interesting player though. He's started as a midfielder so he has an above average passing range for a CB, and he's adept to playing a high line, as opposed to those defenders who've only defended deep their whole careers and struggle to adapt. I thought it was interesting when I saw him in the German squad as opposed to more established players such as Howedes, but I'm not expecting him to play unless one of the starters get injured though.